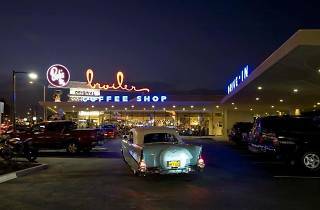 For decades, Johnie's Broiler beckoned motorists with its slimline roof and massive script sign. 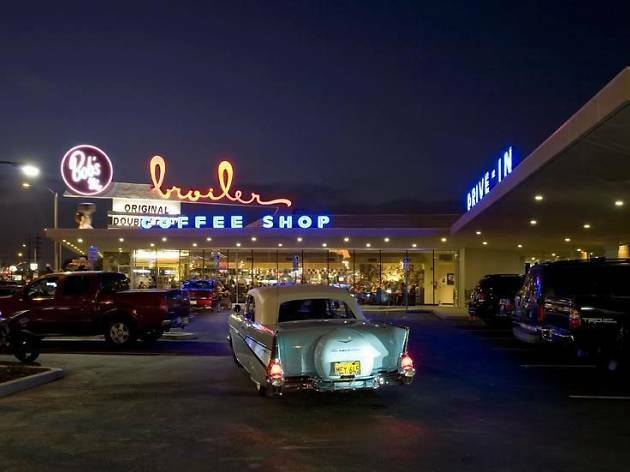 But an illegal demolition in 2007 left this Googie gem in a pile of rubble. With the help of a Bob's Big Boy franchise owner, the city of Downey and a couple of years of construction, the diner reopened in 2009 after being rebuilt to its original specs. It's not exactly the same as it was—the Johnie's "Fat Boy" mascot has given way to Bob's "Big Boy"—but the building still feels like stepping into a bygone era.